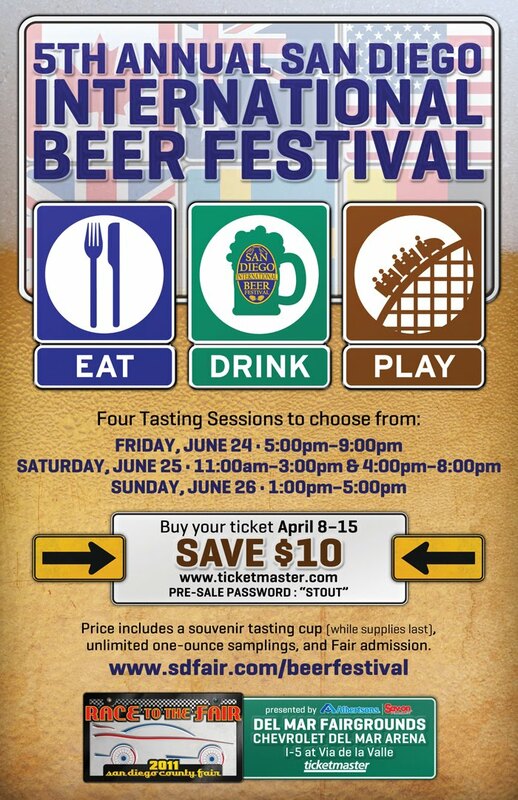 Last year, the San Diego International Beer Festival was a great success, and our friends at the fair have asked us to promote the event. Seriously, this event is amazing. The festival hosts 150 breweries from around the world with over 350 beers and unlimited tasters. They also have pretzel necklaces. If you are from San Diego, you should go to this. If you are not from San Diego, move to San Diego and go to this. The festival this year is from Friday June 24 to Sunday June 26 at the Del Mar Fairgrounds during the San Diego County Fair. They are offering a special deal for 10 bucks off between now and April 15 with the promo password "stout". You can obtain tickets through Ticketmaster and just search "2011 San Diego International Beer Festival". There are 4 sessions, each of which is a few hours long.